Over the last few posts I’m sure you could see the bite from the Entrepreneurial bug – though no radioactive spider – has been working its transformative power. By the end of September, as the impending battle with HiringFreeze and LayOff seemed each day closer and more menacing, I simply couldn’t resist the opportunity to sharpen my own super-networking and entrepreneurial powers by attending Network Solution’s Grow Smart Business Conference. What an amazing day! If my super-boots hadn’t been holding them on, I’m sure my super-socks would have been knocked right off. I was so impressed by the program line up and the organization and presentation by the hotel. For the first time in many years, it felt like the “good ol’ days” in the online world. 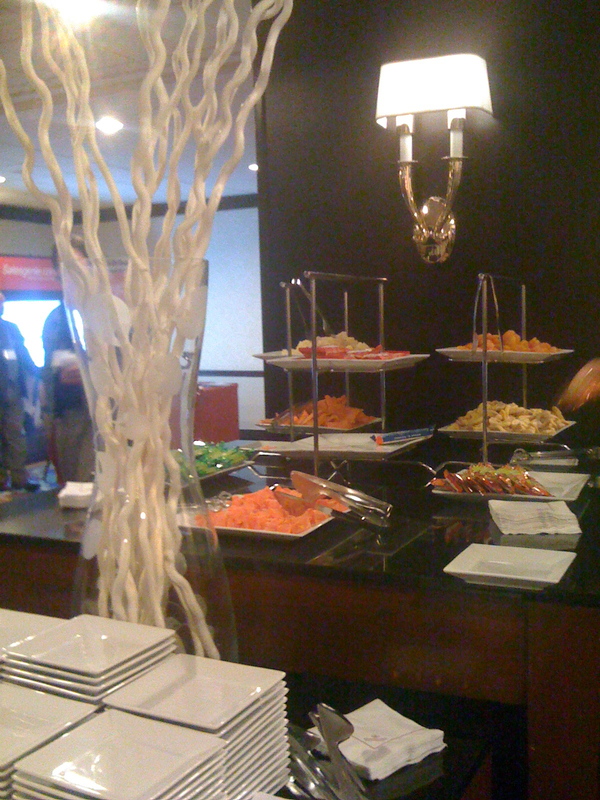 When I arrived at registration and was invited to stop down the hall for breakfast before the conference began, I was expecting the usual dregs of the half-bagle and stale croissant plate and warmed over coffee. Imagine my surprise – and delight – to find a beautiful full buffet with eggs, bacon, gorgeous pastries, plenty of fresh fruit- and full table service. And check out this beautiful table at the break – no generic granola bars here: instead mixed nuts, dried fruit, and plenty of TAZO Earl Grey. 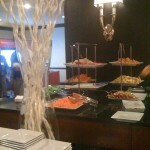 From a customer standpoint I would definitely recommend and attend other events at the Renaissance Marriott. Kudos to the NetSol team for a conference that went above and beyond the expectations of everyone I spoke with. The deal was well worth the $99 I paid for the event, but you can still catch most of the same goodies and great advice for small businesses and entrepreneurs – minus the delicious breakfast, lunch and snacks for FREE. Truly inspiring day. I found myself wishing that I had time to really dedicate myself to my renewed entrepreneurial energies. After a brief stint in the hospital for a very minor health issue (Hey, even superheroes need health-care sometimes. ), and a not-so-brief, but all too fleeting stint on The Playa for Burning Man 2008, The Adventures and Observations of The Burning Desire (TBD) will continue next week with tall tales and keen insights into small business superheroes putting their innate talents and signature strengths to work to make the world a better place. Okay, technically no longer growing, but last week I wrote about my great experience with Palace Florists. A week later, the rose looks practically fresh cut. No easy feat for a rose in July heat! Newly discovered Strength/Superpower – superior product. Note to self: find out secret ingredient in spray applied to rose. I’ve lived near, worked around the corner or down the street and passed by Palace Florists at 19th & N near Dupont Circle for many of my nearly 20 years in DC. I don’t remember when I first noticed the sign, but for several years they have had a sign out front that reads “If your name is ______(fill in a name) come in for a free rose.” There is a different name everyday. They seem to roll through the alphabet. It always makes me smile, but I’ve never seen my name before. Once I sent an email to my friend Lisa that worked around a different corner nearby to let her know it was Lisa day. Well, today was Michele day. With one “L”. That’s what the sign said. I smiled, and also felt sort of desperate and full of anxiety and wondered would they turn me away for my extra-L? After all these years of telling people, “Hi, my name is Michelle with two L’s, like the song” would I come to regret the traditional French spelling? Would they card me? She must see that same look on lots of people’s faces each day. It turned out the woman in line was also Michele, with the requisite single L. But it turned out it didn’t matter. They didn’t card me after all. But they did gain a loyal customer. No more plain old FTD or 800flowers for me. 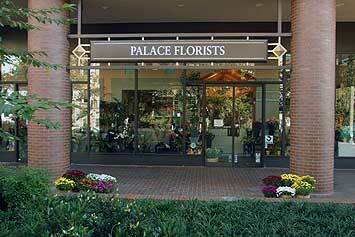 No, from now on Palace Florists will be a part of my family too – check out their tagline. Today is the longest day of the year – here in the Northern hemisphere. That means more daylight hours to devote to doing what you do best and what you love the most. What’s that you say? You can’t remember the last time you spent more than an hour doing what you do best? You hardly ever feel like you get to really shine at work and lately it seems like every day is so draining? Well…maybe last quarter there was that one great strategy meeting…or a few months ago you got to work on that special project for a couple weeks. But it’s certainly not an everyday occurrence, right? Unfortunately, studies show you’re not alone. Over the last decade, the Gallup Organization has gathered information from the more than 10 million participants who have taken their Clifton StrengthsFinder profile. Data indicates that only 30% of respondents strongly agreed that they have the opportunity to do what they do best everyday at work. So that means a vast majority of us spend a vast majority of our time doing things we may not be very good at, or even like very much. For employees, that means things like dreading going to work and spending a lot of time telling people about the terrible place they work. For companies it means disengaged employees and higher turnover. And for small businesses, it can be the root cause of stagnant business growth. Like most superheroes, we all have a few things that we can do better than almost anyone – innate talents and signature strengths that make us soar high and shine brightly. (Okay, maybe not fly or wield a golden lasso, but, hey, we’ve got planes and polygraphs for that stuff now.) But in this Universe, individuals with the innate abilities for developing loyal customer relationships, strategic planning, innovative conceptual thinking, or mad number crunching can save the day faster than any magic bullet. Yet the sad truth is that, also like many superheroes, we spend most of our time masking those talents or pushing them to the periphery, focusing our energies instead on our weaknesses or “areas for improvement.” Essentially, hiding our x-ray eyes behind our horn-rimmed glasses. So, if you need rescuing from your mild mannered life – welcome to The Burning Desire. Here at TBD, you’ll find a fun, lighthearted approach to help you identify your innate talents and signature strengths so you can get more of what you want from life whether it’s a new and improved career path, better team dynamics and collaboration, or a new business venture. 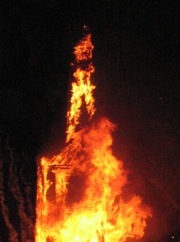 Oh, and of course, you’ll learn more about The Burning Desire herself.